Tim has many years' experience as a language teacher, senior leader in schools, school governor, senior examiner and trainer. 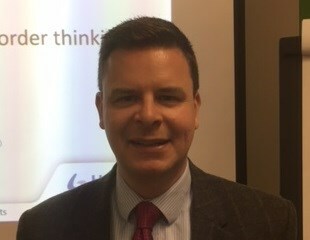 He is a consultant for Ofqual and CCEA, as well as providing consultancy services for schools both in the UK and internationally. Tim is passionate about the work he does and prides himself on providing clear, practical guidance which is aimed at helping teachers to work smarter, not more. We are working towards endorsement of this title for the Edexcel A level specification from 2016. Develop all four language skills with exam-style practice and a thematic approach to the latest specification. Take out a free trial today! Additional digital support for independent study, to build grammar, vocab and translation skills, as well as providing great formative and summative assessment opportunities. Support the transition from GCSE and through the new A-level specifications, with a single textbook that provides guidance foranalysing film and literature, and delivering topical lessons.